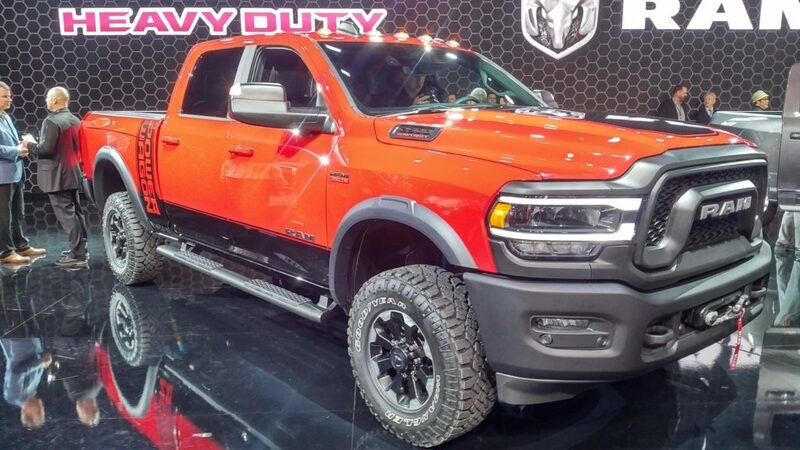 Ram announced its all new HD lineup as well as the new Ram Power Wagon. These new trucks borrow heavily from the much-praised light duty models when it comes to technology and design. 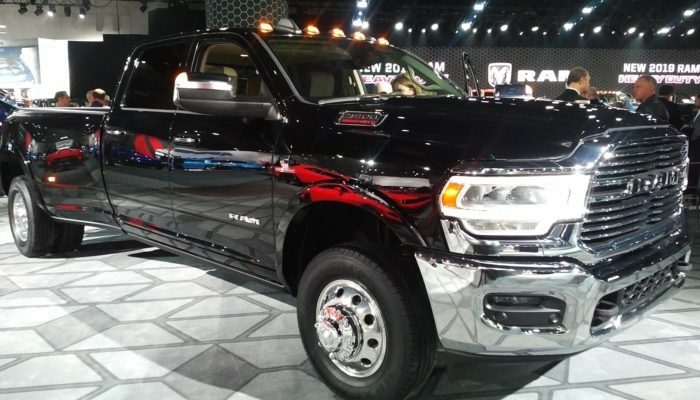 The big headline is that Ram will offer a high-output version of its Cummins engine capable of a claimed 1,000 lb-ft of torque. Reid Bigland asserts the 6.4 Hemi V8 will deliver best in class power and efficiency, and also touted an industry-first 8-speed transmission in the HD segment. Bigland went on to state Ram HD will out tow (35,100 lb max), out haul (7,680 max), and out power every truck on the market. 3500 has standard Hotchkiss rear, with optional supplemental air spring system for load leveling. 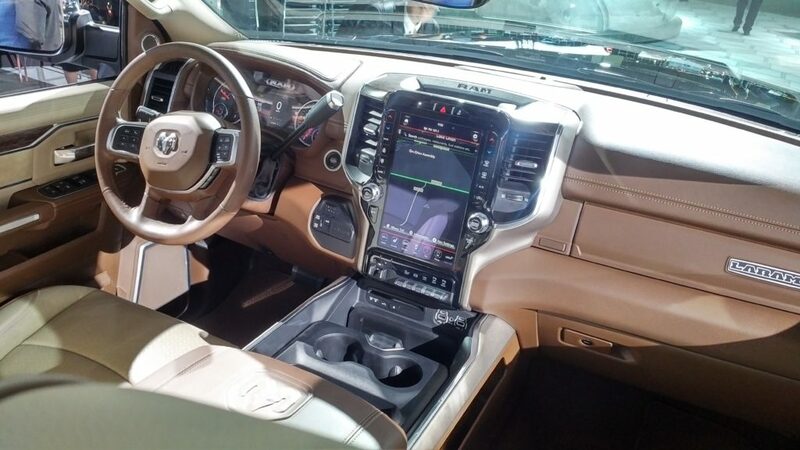 Interior refinement is apparent, basically a carbon copy of 1500 with available 12-inch touchscreen. 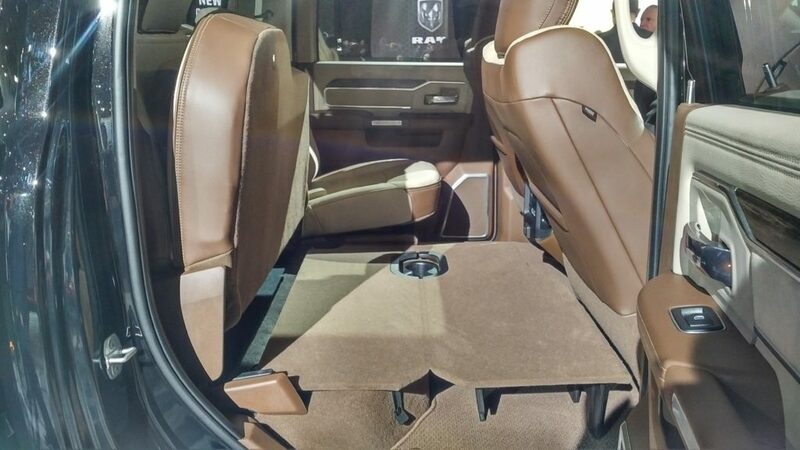 Ram claims 35 all-new and 21 class exclusive features on the interior, and drops interior noise by 10 dB. 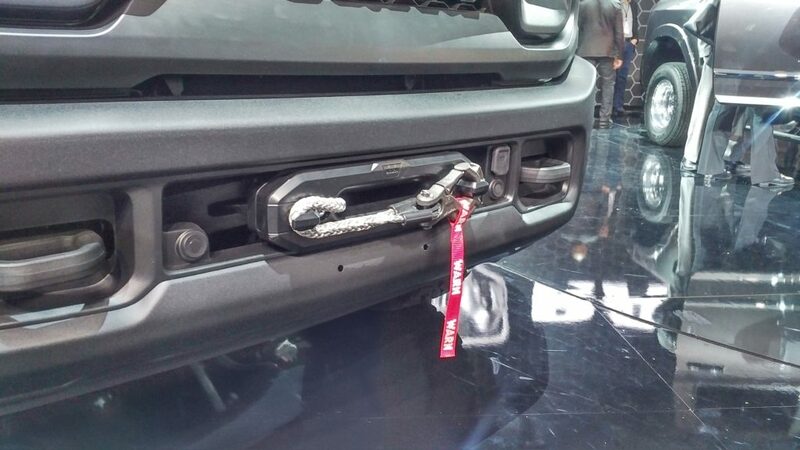 Ram is further claiming exclusive class exclusive Adaptive Cruise to full stop with max towing. Backup radar accounts for with of dual rear wheel fenders. Mirror mounted rear Spotlights point backwards toward trailers. 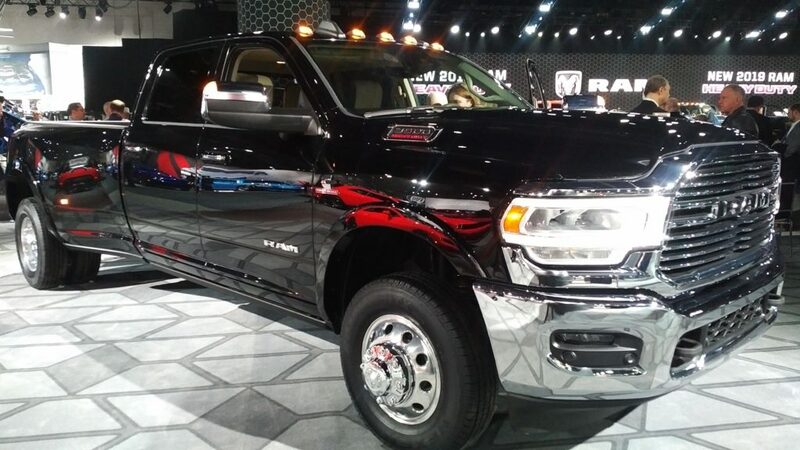 Also announced was the Ram 2500 Laramie Black package. Essentially everything that can be blacked out is, including the rear blind spot radar panels. Further models include a monochrome Sport pack in addition to base Tradesman, and top-end Longhorn. 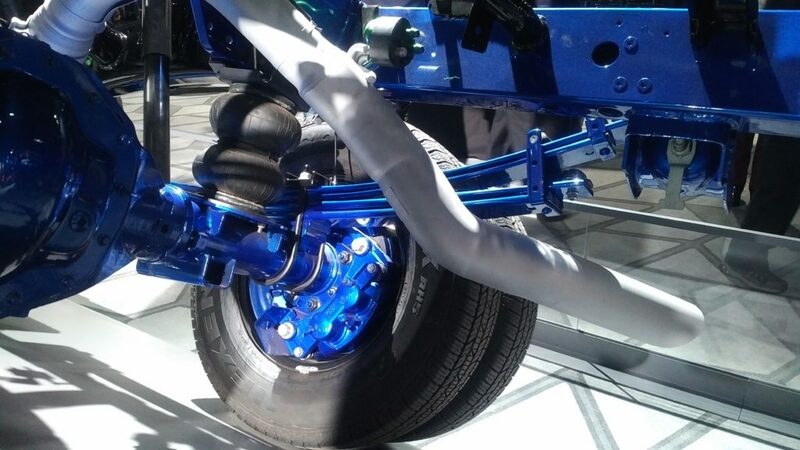 Power Wagon also debuts, with front and rear locking axle, 2″ lift, underbody armor, electronically disconnecting stabilizer bar, off-road tuned springs and dampers, and a 12,000 lb winch with synthetic cable.